Neocons in the Republican Party, who reflexively oppose any agreement between Iran and the West, share something in common with the Islamic hard-liners in Iran. Iranian Hard-Liners Say Nuclear Accord Crosses Their Red Lines. Their common interest was exemplified earlier this year with Sen. “Tehran” Tom Cotton’s letter signed by 47 Republican senators to the government of Iran. 47 GOP Senators Tell Iran They May Not Honor A Nuclear Deal. This stunt was too much even for the editors of The Arizona Republican. 47 senators stomp on the Constitution. The government of Israel also opposes the Iran deal. Earlier this year, Israel’s Prime Minister Benjamin Netanyahu accepted an offer from House Speaker John Boehner to address the Congress shortly before elections In Israel, an unprecedented move not approved by the White House and against U.S. protocol. See Robert Kagan of the Brookings Institute, At What Price, Netanyahu? Israel’s ambassador to the United States, Ron Dermer, on Wednesday told 40 of the most conservative Republicans in Congress that the Iranian nuclear deal negotiated by the administration does little to protect Israel from aggression. At the event organized by Rep. Steve King (R-Iowa), Dermer said Israel is skeptical that the billions of dollars Iran is expected to receive once a series of decades-old sanctions is lifted wouldn’t be used to fund terrorism that targets Israel. Under the agreement, those funds are to be earmarked for the development of Iran’s beleaguered economy. Dermer wasn’t speaking at the Iowa Republican’s Conservative Opportunity Society to persuade GOP hard-liners to oppose the deal. The Republican conference is broadly opposed and will likely vote en masse to oppose the agreement. Instead, it was a chance for Israel to continue the aggressive outreach it’s planned to try to turn lawmakers against the agreement. Dermer has met with 350 House members in the past 20 months, in addition to 85 senators, an Israeli official said. In its lobbying efforts, Israel plans to aggressively lobby Democrats as the party is widely considered to be holding the swing votes between sustaining a veto from President Barack Obama or blocking the agreement. Dermer has met with two dozen Democrats on the deal in the past few weeks, the official said. Republicans likely have the numbers to block the Iran deal when it comes to the House floor after Congress’ 60-day review period. Obama has said he would veto that legislation. At the Republican meeting Wednesday, Dermer stuck to points outlined months ago by Israeli Prime Minister Benjamin Netanyahu during his joint address to Congress. Lets be clear: despite what some conservatives would like to believe, Israel is not the 51st state of the U.S., and even if it was, one small state does not exert this much influence over the Congress of the United States. Israel is an ally, yes, but it is a foreign government whose policy interests are frequently at odds with the policy interests of the U.S.. i.e., ending Israeli settlements in the West Bank, establishing a two state solution and recognizing a Palestinian state, and entering into a regional peace framework with its neighbors. “Bibi” Netanyahu has thwarted these U.S policy goals for years. We have a political party in the U.S. that is doing the bidding of a foreign government which is at odds with the stated foreign policy of the U.S. This is unprecedented. It should surely be condemned as roundly as the letter from 47 U.S. Senators to the government of Iran was condemned earlier this year. [W]hile Israel’s politicians may be singing from the same song sheet, others are less sure. Prominent members of the country’s security establishment have come out at various stages of the negotiations in support of the Obama administration’s efforts. Some of these men have been consistently vocal in their opposition to Netanyahu’s hard-line rhetoric, which included a controversial speech to the U.S. Congress earlier this year. Here’s a rundown of some of their observations. When a framework agreement was reached in Lausanne, Switzerland, in April, Efraim Halevy, former chief of the Mossad, Israel’s spy agency, hailed Obama’s victory. In an op-ed in the Yedioth Ahronot, Halevy listed some of the key provisions of the deal, which included a strict regime of inspections and the neutralizing of Iran’s key nuclear facilities. 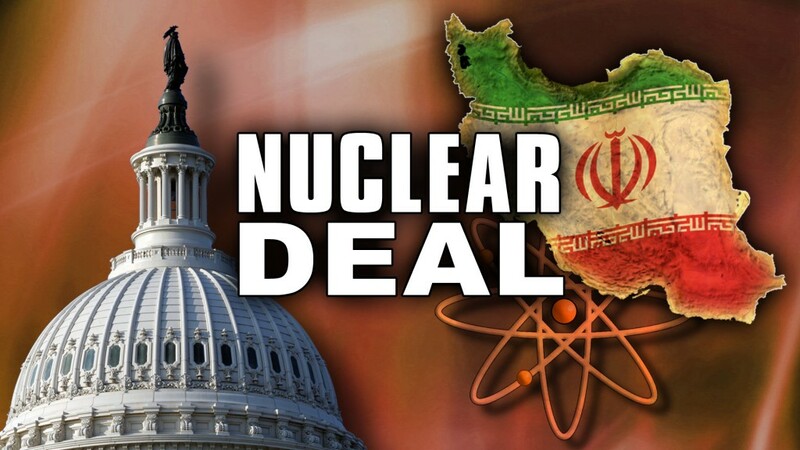 “Anyone who has followed events in Iran in recent decades or has studied the matter has to admit truthfully that he never believed Iran would ever agree to discuss these issues,” he wrote, “let alone agree” to the measures imposed on Tehran by the world powers. “If we think that the monitoring won’t be effective, the only other option is a military campaign that will only set back the Iranians for a limited number of years,” he said. The final agreement, Yadlin told Israeli radio in April, would not legitimize Iran’s misdeeds on the international stage, which include actively supporting militant proxy organizations in the Middle East deemed terrorist organizations by the United States and its allies. Netanyahu’s loud hectoring, Dagan suggested, was pushing Israel toward a situation of military confrontation. Saudi Arabia’s foreign minister said Thursday the Iran nuclear deal appears to have the provisions needed to curtail Iran’s ability to obtain a nuclear weapon in what were the most favorable remarks yet from the kingdom on the recent agreement. Foreign Minister Adel al-Jubeir told reporters the kingdom has been reassured by Washington while consultations continue about the deal, which he said stipulates effective inspections, including of military sites, and the possibility of snap-back sanctions if Iran violates the agreement. “We are currently in talks with the American government regarding these details, but it (the deal) generally seems to have achieved these objectives,” said al-Jubeir, who visited Washington in mid-July. U.S. Defense Secretary Ash Carter also discussed the deal in the Saudi port city of Jiddah on Wednesday with King Salman and Defense Minister Mohammad bin Salman Al Saud. There is one country in the Middle East that has a “secret” nuclear weapons program that has never submitted to international nuclear inspection: Israel. The truth about Israel’s secret nuclear arsenal. The P5+1 world powers nuclear agreement with Iran is far more transparent and provides for far more robust inspections by international nuclear agencies than anything Israel has even considered submitting to.